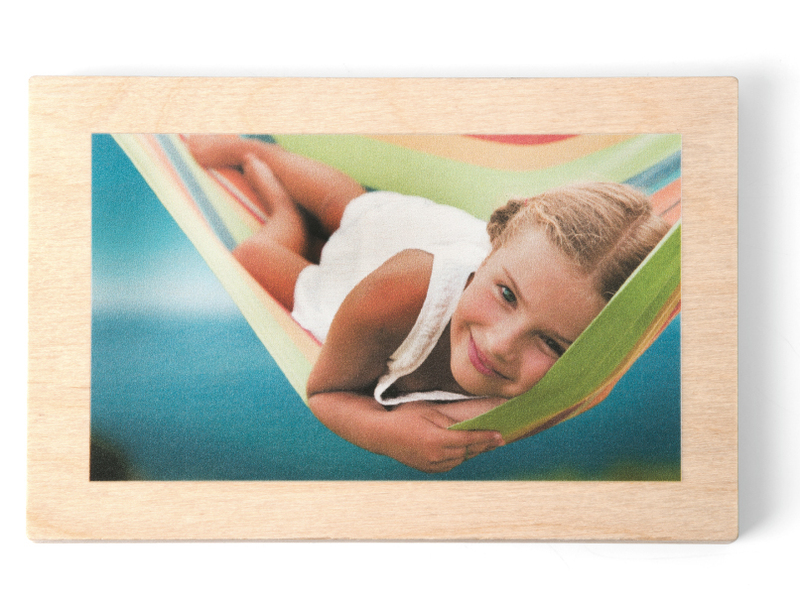 With our Maple Wood Prints, your photo or artwork is printed directly on to 1/2" thick maple surfaced wood board. Natural markings ensure no two Maple Wood Prints are exactly alike. Choose from two finish options: Natural and White. Natural Finish emphasizes the wood grain, allowing it to show through the lighter areas of the image. White Finish covers the wood with a white ink underlay so the true colors of your image pop. With either finish, you can feel the textured surface of the wood. Apply a border (ROES only) to expose the wood and create a virtual frame around your image. Production in-lab turnaround time is 3 business days. Add 1-2 days for finishing & mounting. Natural Finish emphasizes the wood grain, allowing it to show through the lighter areas in the image. Natural Finish conveys an organic, warm tone and vintage feel. White Finish covers the wood with a white ink underlay so the true colors of your image pop while still allowing the beautiful wood texture to show on the print surface. 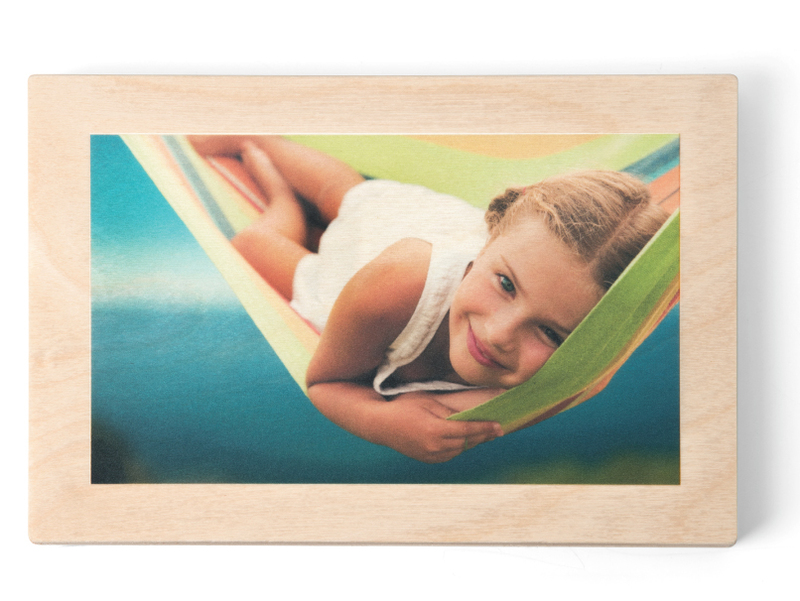 Print your image full-bleed to the edge of the wood or choose an unprinted border around your image that reveals the wood's natural beauty. Up to 8 border sizes available (ROES only). 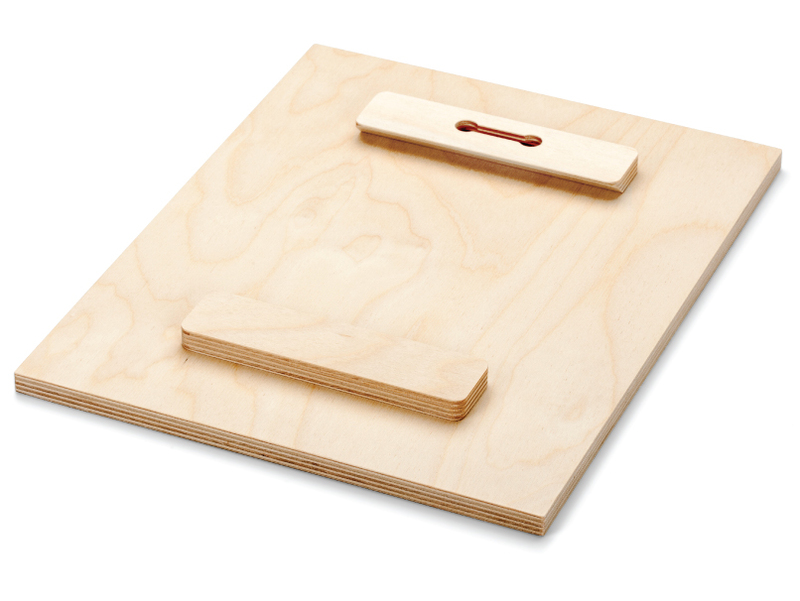 Mounts the Wood Print ½" from the wall for a "float" effect. For sizes 12x12" and smaller. 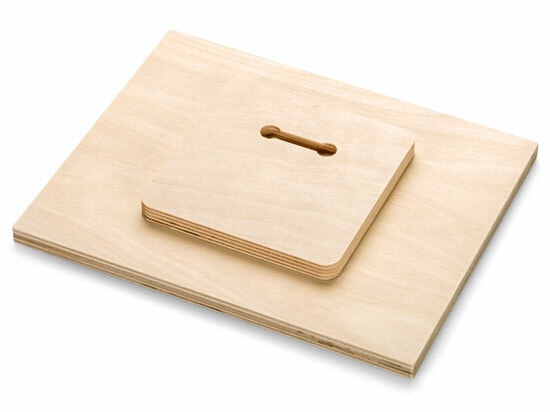 Mounts the Wood Print ½" from the wall for a "float" effect. For sizes 12x18" and larger. Mount the Cleat to the wall to easily and securely hang the print from the Float Hanger. For sizes 12x18" and larger. Allows the Wood Print to hang flat against the wall. For sizes 8x12" and larger. 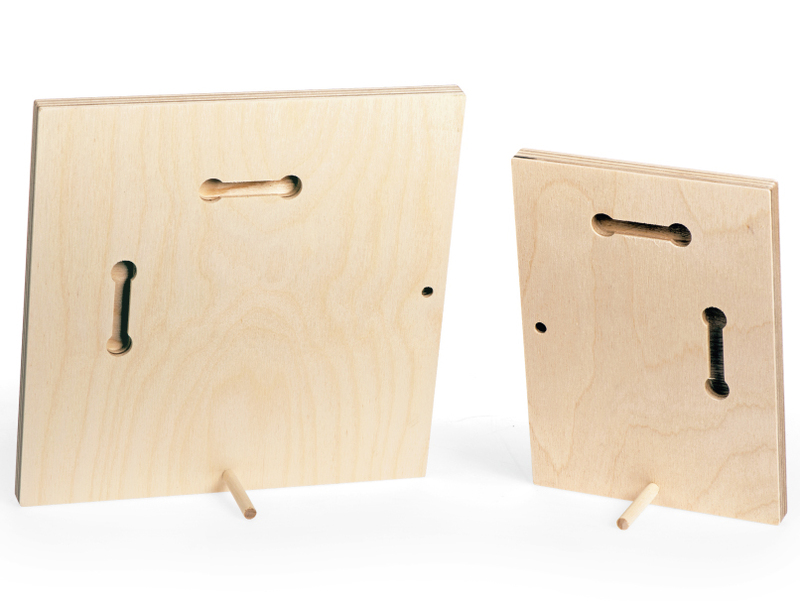 Easily display small Wood Prints on a wall or desk with the new Keyholes & Dowel option. 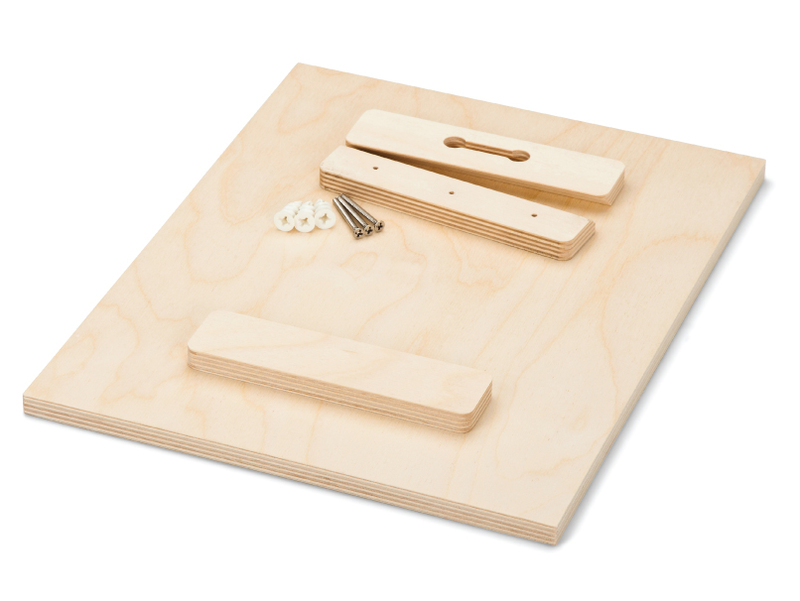 Alternating keyholes and dowel holes accommodate portrait and landscape images. For sizes 8x10" and smaller. 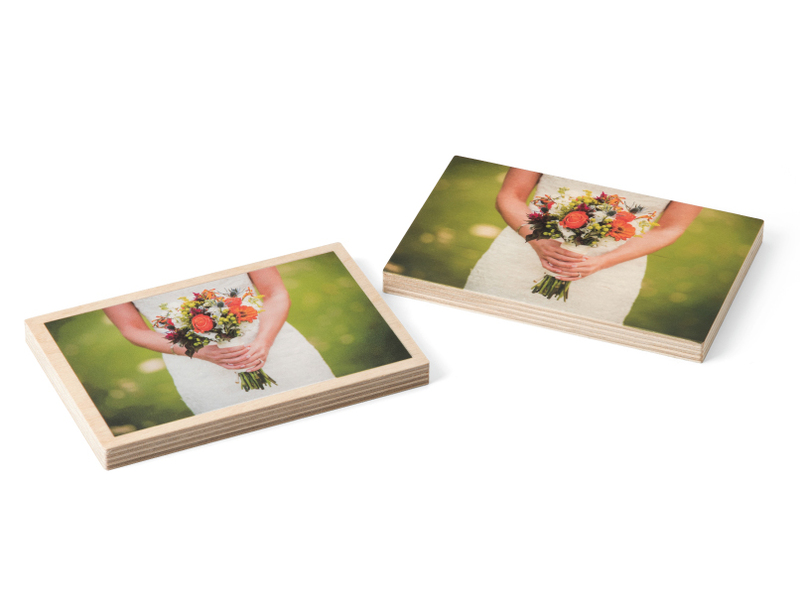 Our 4x6 Wood Print Sample Pack consists of one of your images on each of our two surfaces (Natural and White) at a discounted rate. Border sizes and hanging are individually selectable for each print. Price is $35.00. Available in BRI ROES only. 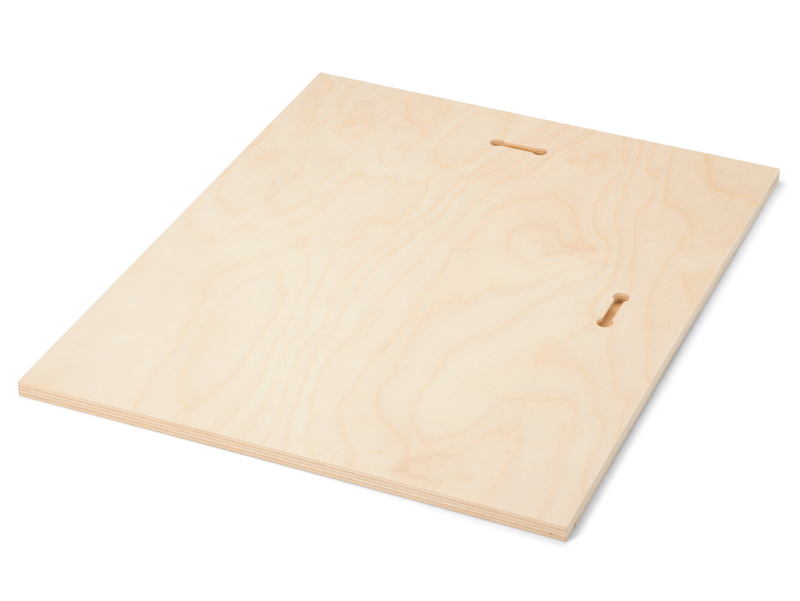 *Freight Shipping: Wood Prints with a side over 40" long will require freight shipping. We can provide freight quotes for these orders. Please allow additional time for the quote and freight delivery times. Wood Prints show the grain and other characteristics of the wood shows through the light and white areas of the image for a natural warm tone and vintage feel. We can also print a white ink underlay on the wood to make the true colors of your image pop. Both of these options allow the beautiful wood texture to show on the surface of your print. Each wood print is unique and no two prints will look precisely alike.